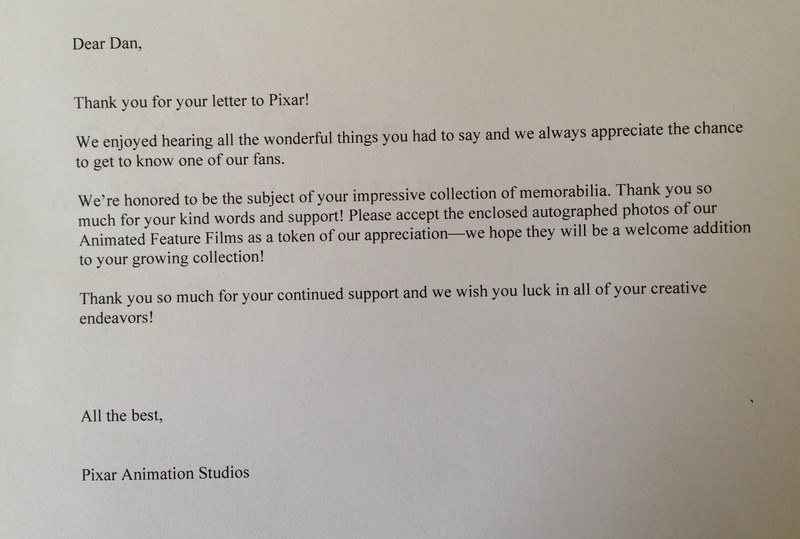 Yesterday I was absolutely astonished to receive a letter from Pixar!! 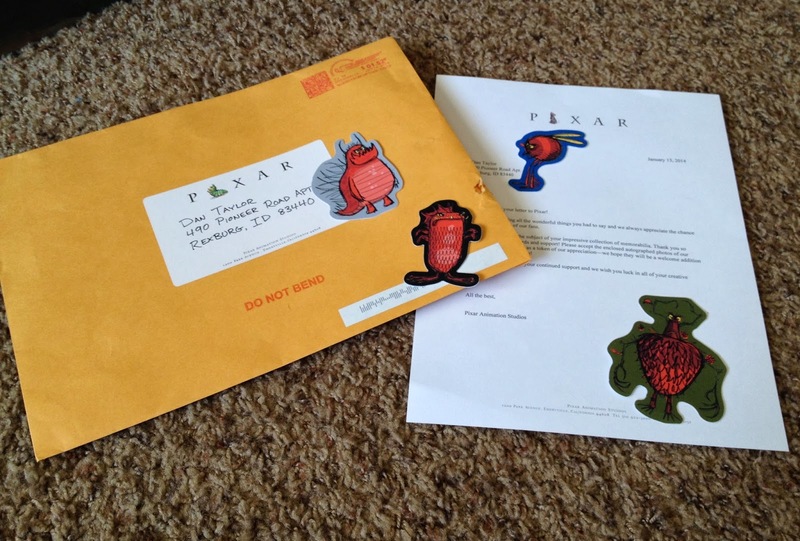 I opened the mailbox (expecting either nothing or junk mail) to see Heimlich the Caterpillar and Pixar's logo! I couldn't believe it. 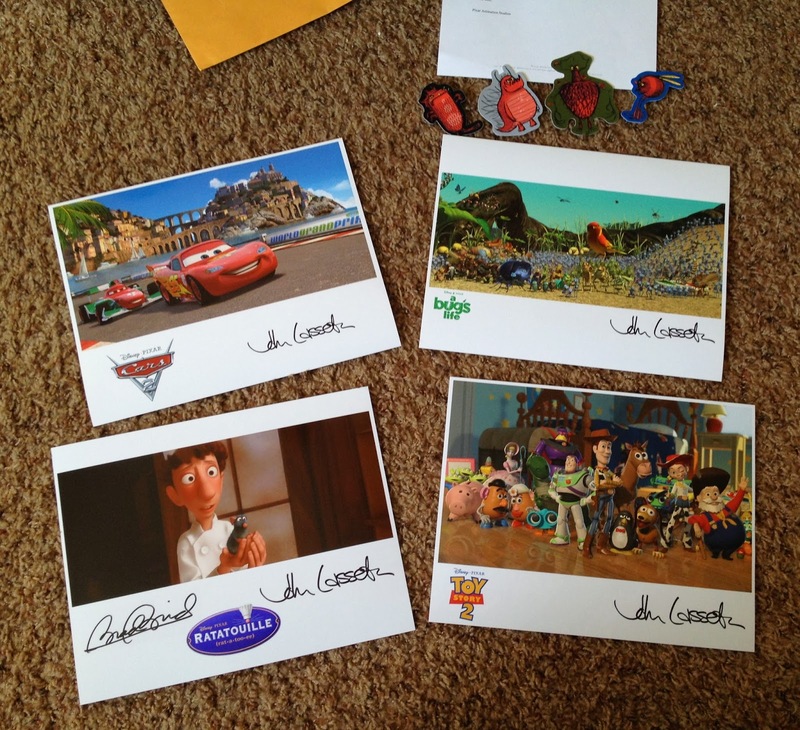 I had heard that many people who write a letter to Pixar will receive a letter back so 2 weeks ago I did just that. I wrote them a page of my appreciation to them and told them about me, my hobby in collecting, this blog and my love for their films. From what I heard, it sometimes would take up to 3 months to hear back from Pixar (if at all). Being that it had only been a couple of weeks since I had sent my letter, I was shocked this response had come to quickly. 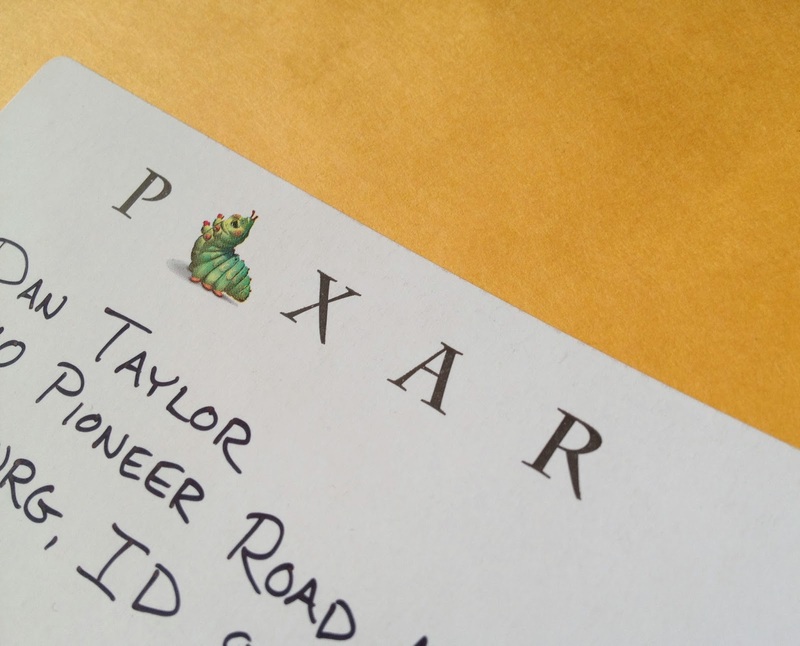 Many of you have had a similar experience in getting a letter from Pixar (of course I know I'm not the only one or special in any way), but this was my first time so I was (and still) just extra pumped about it! You know I won't be throwing away even the envelope this letter came in. It's too awesome. What really made this experience special for me is that I can tell from their letter that it wasn't just their generic response that most people get. They specifically mention my collection and gave me some things to add to it...so I know they actually took the time to read my letter and write something personal, even if it is just brief. It means a lot! 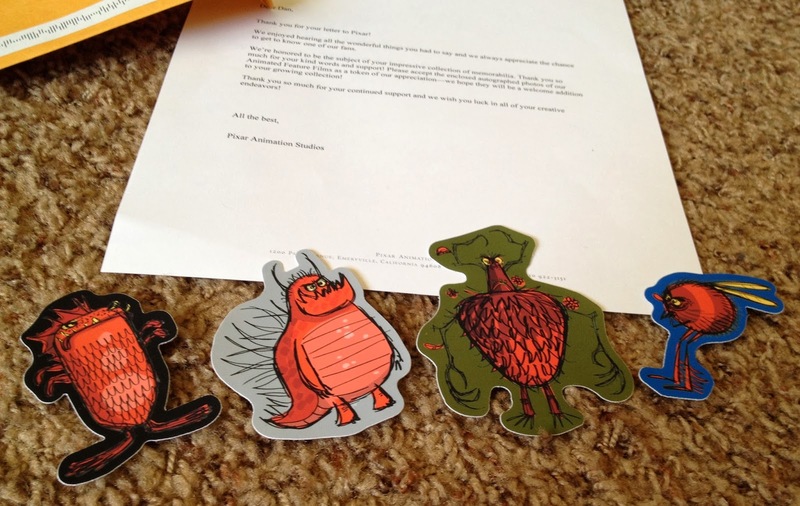 Along with the letter, they sent this 4 cut outs of Monsters Inc. (or perhaps University?) concept art! The photos are printed on high quality, glossy paper and the colors are stunning. You know I'm getting these framed ASAP! 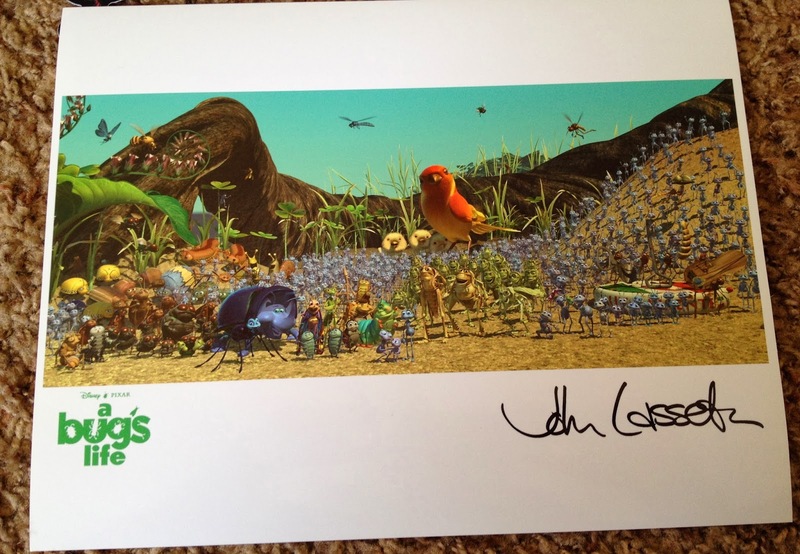 They will look so awesome matted and hung on the wall in my future Pixar themed study. 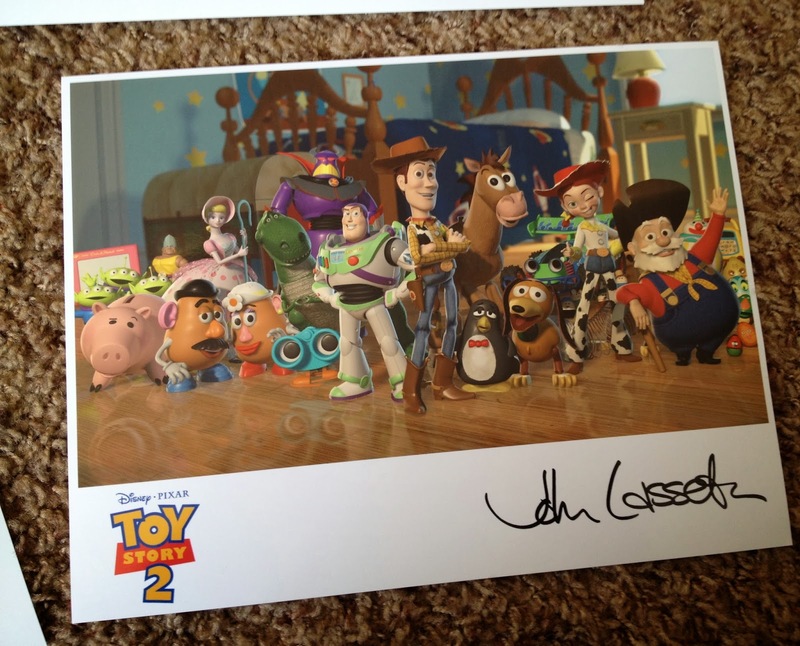 Toy Story 2-Fantastic! One of my favorites of the main toys together. 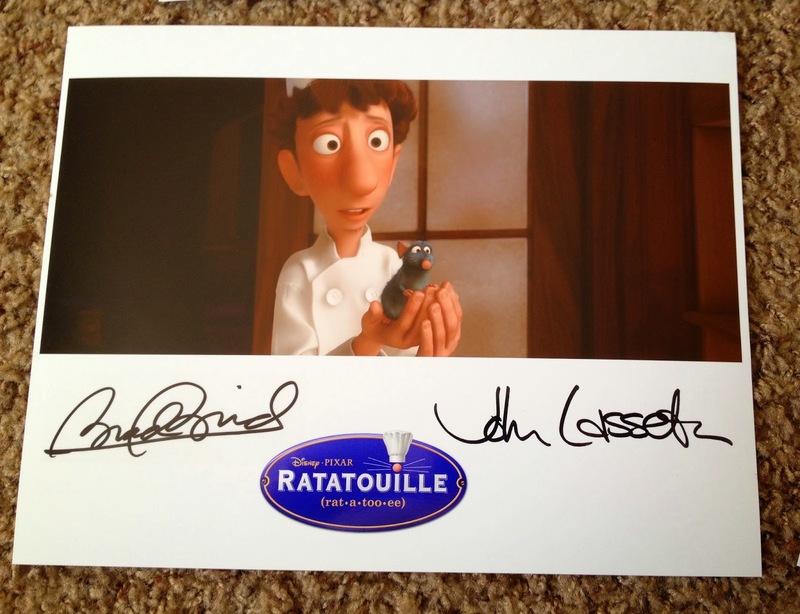 Ratatouille, also with director Brad Bird's signature. So cool!! 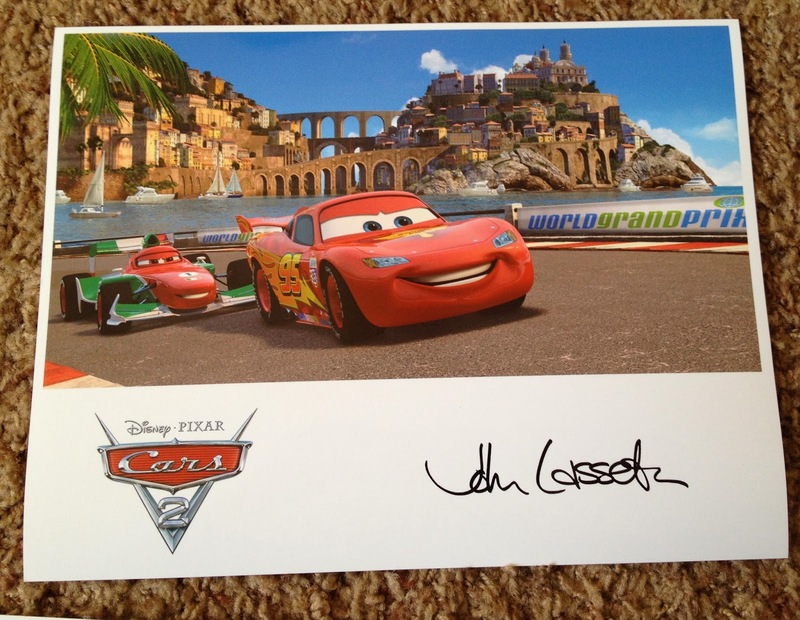 And then we have Cars 2-great shot, great colors! I love the selections of prints they chose to send me. A HUGE thanks to Pixar (I'm assuming the PR department) for doing this...and responding so quickly! It goes to show what kind of company/studio they run that they would do this. They really do care about their fans and it really shows here. Pixar, you're the best! This is amazing I'm going to have to do this! I love pixar and animation so much! The films they create are outstanding they never fail to please me! How did they know how to send it back to you? Did you include your address? It was so amazing! Really fun : ) I would definitely recommend doing it and you're more than likely to get something back in a few weeks! For me, I wasn't even expecting them to actually send me anything back so I didn't include my address in my letter or anything. They just went off my return address. Good luck, let me know if it all works out! Thanks for checking out my blog.